Patient distress can come from or be exacerbated by a variety of sources. The National Comprehensive Cancer Network (NCCN) recently published NCCN Guidelines for Patients and NCCN Quick Guide for Distress to encourage patients to speak with their oncology care team about their distress.2, 3 Identification of symptoms of distress could enable appropriate management of those symptoms. Improved management could result in improved treatment outcomes. “Many people assume distress is always psychological/emotional in nature. I think it’s most important to convey that distress can come from or be exacerbated by a variety of sources. The assessment of distress, and the response to significant distress, needs to be individually tailored, with a broad conceptualization of what distress is,” explained Teresa Deshields, PhD, ABPP, manager at Alvin J. Siteman Counseling Service, Siteman Cancer Center and clinical associate professor at Washington University School of Medicine in St Louis, Missouri, in an interview with Oncology Nurse Advisor. Deshields is a member of the panel that created the NCCN Distress Guide. 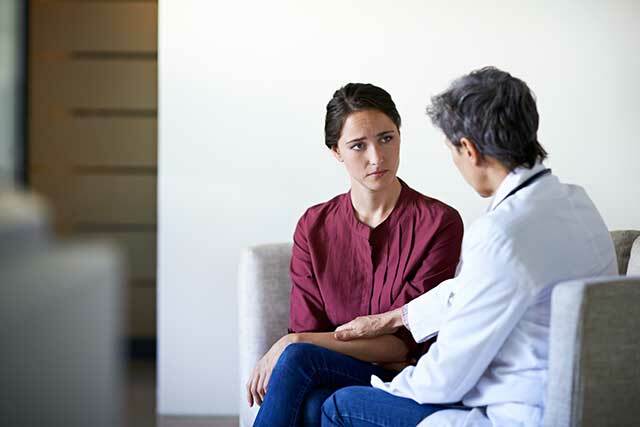 The American College of Surgeons (ACS) in 2015 required cancer centers to establish a protocol for screening for distress in all patients who receive a cancer diagnosis. NCCN created the initial Distress Thermometer in 1997 and updated it in 2017. The Distress Thermometer, part of the NCCN’s Guidelines for Distress Management, enables self-identification of level of distress on a scale from 0 to 10, similarly to how pain scales work. Distress scores greater than 4 necessitate referrals to various types of care.